You have a million things to think about, plan and prepare for your wedding day. Things are going to fall through the cracks and you will forget stuff. I am hoping this bridal details checklist makes your life a little easier! It will be one less thing you have to stress about the week of your wedding. Photographing the bridal details is not only the very first thing I photograph on every wedding day, but it is always one of my favorite things! The more details the better! Starting my day off this way gives me plenty of time to get warmed up, sneak a few pictures of the bride and bridesmaids getting ready, and allow everyone to adjust to me being around. This part of the day is so important because it tells the story of your wedding day and allows for everyone to get warmed up without being rushed in front of the camera. These are a few of my favorite details to photograph but really you can include anything for your wedding day! These are just the most common details that most all brides & grooms have. The best way to keep all of these details organized is to have a designated bag or box the week of your wedding. As you are packing everything, you can place all of the details in the same area and it makes it super easy to find everything on the wedding day. For dress shots, a custom hanger isn’t necessary but a pretty wooden hanger would make a huge difference. You spent a lot of money on your wedding dress, took all of your favorite girls with you to find the perfect dress, it deserves to be photographed on something better than a plastic hanger! The ring shots are some of my favorite details! Don’t forget to have all three rings together in the same place the morning of the wedding. One of the best ways to show off all the beautiful details is with a ring box. They come in many different colors so you can find one that matches your wedding colors. Then, after the wedding is over, it makes for the most perfect keepsake. Check out The Mrs. Box for beautiful ring boxes. Veils & headpieces are also some of the lovely details to include in the bridal photos. If you have no clue what type of veil you want, my vote will always be a cathedral veil! 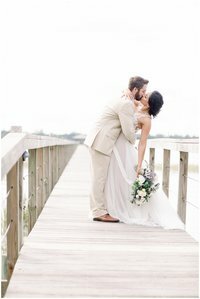 Check out some of my wedding or bridal blogs. Many of the brides have cathedral veils because they make for the dreamiest pictures. Simple veils are lighter in weight and blow in the wind easier. They also won’t feel like they are pulling your updo or curls out. Veils with lots of details are gorgeous to photograph but they are very heavy! I think all brides spend a lot of time trying to find the most perfect shoes. If you are one of the girls who want pictures in gorgeous heels but you have no clue how you will wear them all day. Well good news! Most of our brides have two pair of shoes for the wedding day. They have their heels for bridal portraits and then they switch into something more comfortable. Some of the cutest bridal shoes I have seen for comfort are the Kate Spade glitter sneakers. I always ask my brides to wait to put on all of their jewelry at once after they have their dress on. This gives me more details to capture and the bride putting on her jewelry makes for gorgeous shots! When it comes to keepsakes this is totally optional. A keepsake could be anything! It could be old jewelry passed down from your mother or grandmother, handkerchief, heirloom pins, something blue, something old, etc. Keepsakes come in many shapes and sizes but I want to be sure I know if something is important to you! This tells the story of your wedding day and I want to be sure I capture that special moment. I tell all of my brides to treat themselves with new perfume just before their wedding day! First of all a bottle of perfume makes for beautiful pictures during the bridal details. It also is super sweet to capture the bride spraying perfume on her wrist. But the most important part about this special detail is the memory that perfume will create. Only wear this perfume on special occasions and every time you smell it, it will remind you of all the amazing memories you created on your wedding day. One of the details that is always forgotten about. Please remember your invitations on your wedding day! If you have two copies, then bring them both! I love styling the invitations with all of the other bridal details and it completes the story of the wedding. Feel free to include any other stationary you had made for your wedding. This could include save the dates, menus, etc. Find out what time your flowers are being delivered on your wedding day and be sure to coordinate those details with your photographer. You’ll want your flowers delivered early in the day so they are not only available for getting ready pictures but also for the first look. I am sure you spent a lot of money on your flowers and it is important to have them photographed. 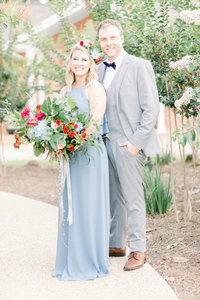 Plus it adds a pop of your wedding colors to all of the detail photos. I love when the bouquets and boutonnieres are nearby for easy access. Any gifts being given the weekend of the wedding are always cute to include in the bridal details. It is super sweet to capture any special gifts or letters exchanged between the bride and groom. 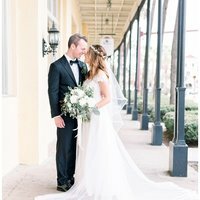 I hope this list is helpful as you prepare for your big day!